While Flaws, the sec­ond album of Lon­don indie band Bom­bay Bicy­cle Club, was released in July in the UK, the band just released the album in the US on Tues­day, giv­ing us a chance to review it. As the group’s sec­ond album since their cre­ation in 2005, Flaws serves as a sol­id fol­lowup to the band’s 2009 debut I Had the Blues But I Shook Them Loose, as well as a cre­ative album in its own right - though it suf­fers from inci­den­tal flaws that pre­vent it from being excel­lent. Front­man Jack Stead­man pro­vides the major­i­ty of Flaws’ vocals, though he’s occa­sion­al­ly joined by oth­er mem­bers of the group. Steadman’s voice is sol­id, but not much else - the epit­o­me of typ­i­cal indie sound, Stead­man falls into an arche­type read­i­ly. That’s not nec­es­sar­i­ly a bad thing; stan­dard vocals are, as a gen­er­al rule, much bet­ter than irri­tat­ing ones. How­ev­er, it does unfor­tu­nate­ly pre­vent that part of the album from grow­ing as far as it per­haps could have - though it doesn’t man­age to dam­age the gen­er­al­ly quite well writ­ten lyrics. At the same time, how­ev­er, Stead­man man­ages not to over­shad­ow the bet­ter instru­men­tals - a pos­i­tive qual­i­ty in and of itself. Lyri­cal­ly, Flaws is always inter­est­ing. Bom­bay Bicy­cle Club does an impres­sive job cre­at­ing the vivid imagery of the album, from “Leav­ing Blues“ ‘ descrip­tion of “Rid­ing home every­day / Sure, in a cin­e­mat­ic way” to the slight­ly psy­che­del­ic “mag­ic pur­ple” of “Fairy­tale Lul­la­by.” Among those images are inter­spersed lines like “Swansea“ ‘s intense­ly strange expres­sion of ani­mal­is­tic love, “How I would love to gnaw / To gnaw on your bones so white / And watch while the freight trains paw / Into the wild, wild night.” Between the two sorts, it’s clear that, where writ­ing is con­cerned, Flaws is a suc­cess. It cer­tain­ly doesn’t hurt that the way the lyrics are han­dled is per­haps Steadman’s best vocal con­tri­bu­tion to Flaws. The instru­men­ta­tion of Flaws leaves lit­tle room for vari­ety - with an entire­ly acoustic ensem­ble, dif­fer­en­ti­a­tion is hard - but Bom­bay Bicy­cle Club exploits every inch of it. Per­haps the most con­stant aspect is Steadman’s vocals, but the gui­tar and man­dolin are used expert­ly to cre­ate many dif­fer­ent effects and styles of sound through­out the album. Even so, the entire thing sounds a lit­tle bit sim­i­lar over­all, which is large­ly a result of the ten­den­cy for the gui­tar to dou­ble vocal parts con­sis­tent­ly. Even so, there is suf­fi­cient vari­a­tion that each track has a rec­og­niz­able style, and while melodies are often repeat­ed there are changes in the instru­men­tals or the vocals to keep from sound­ing stag­nant. Flaws is quite an album. Inno­v­a­tive instru­men­tals and beau­ti­ful­ly writ­ten if often strange lyrics make for an album that is con­sis­tent­ly inter­est­ing - and it’s done well enough that even lack­lus­ter (though cer­tain­ly not bad) vocals can’t drag it down much. 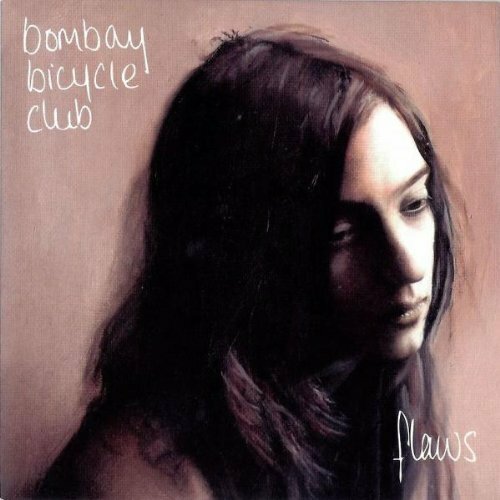 As a whole, Flaws is an impres­sive sec­ond album for Bom­bay Bicy­cle Club - a wor­thy suc­ces­sor to their debut, as well as a sol­id album in its own right.